We’ve had a slew of questions about our latest laser scanning product, the 2-Way Tripod. Although this is an invaluable tool for laser scanners and surveyors alike, the darn thing can be a bit tricky to put together. In response, we wrote an assembly tutorial for the two way laser scanning tripod; read on for an explanation of how to quickly and efficiently set up this tripod. We’ve thrown in a brief schematic for attaching Leica and Faro Laser Scanners, since these are most popular with our clients – you can email us for more extensive directions for attaching an overhead adapter to a scanner. How to attach the overhead safety adapter. 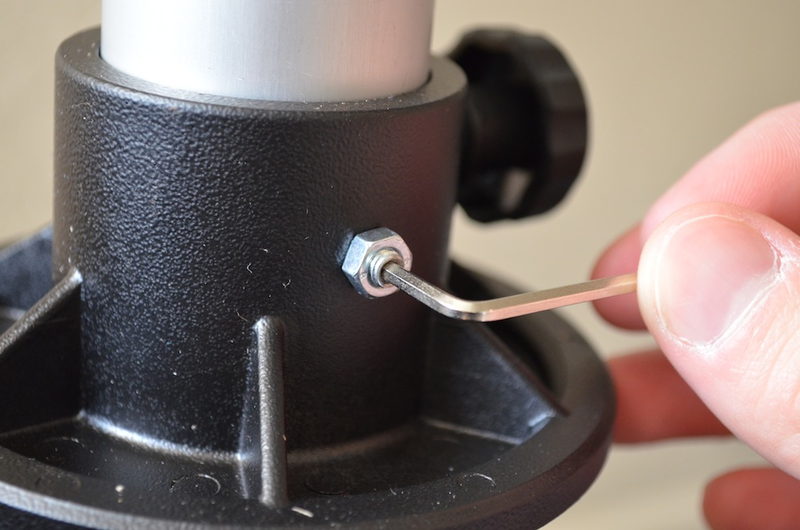 -Use the smaller Allen key to loosen the threaded screws on either side of the tripod head. -The Tripod head should slide right off. note that it is not necessary to completely remove the threaded screws in order to detach the head plate. -At the bottom of the mast a 5/8” female thread should now be visible. -Screw the Safety adapter into the hole to attach it securely to the tripod mast. Attaching extension poles to the tripod mast. -Position the extension pole so that the grooves and scale are aligned. -Slide the fin on the bottom of the extension pole into the slot in the top of the mast. -Tighten the brass screw using the larger Allen key.